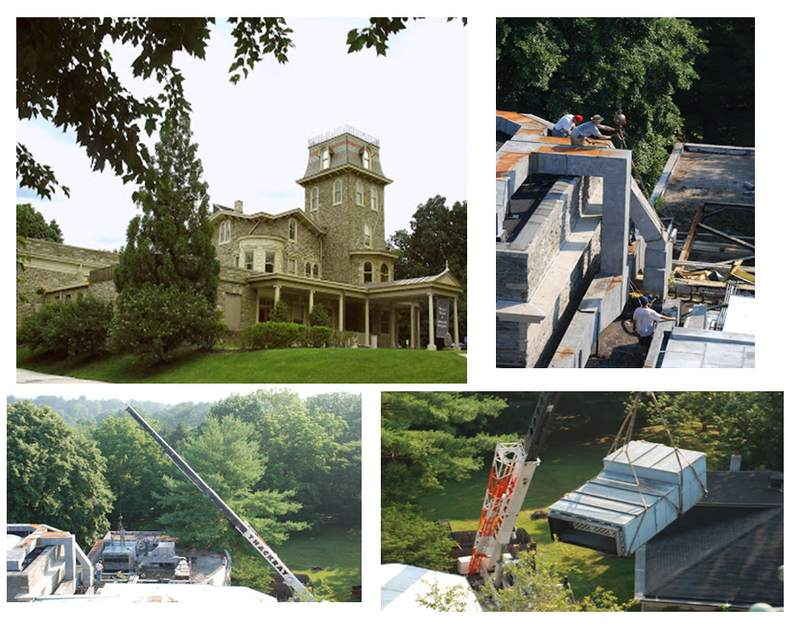 HVAC Installation for the Woodmere Art Museum which is housed in a 19th century Victorian mansion. Installation highlights include a constant temperature and humidity system, a Carrier 60 ton heat recovery chiller with the heat of rejection being used to provide reheat when the systems goes into dehumidification, eliminating the need for the boiler operation for approximately ¾ of the year. Also installed gas fired steam humidifier with steam grid in double-walled, state of the art air handler, including VFD fan, chilled and hot water coils and economizer outside air system. The system is controlled with remote access Carrier i-Vu building automation system.